The gem of all Diamond speakers. 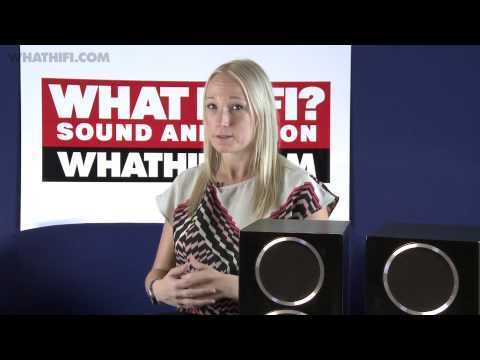 All Diamond bookshelf speakers over the last 30 years+ have been awarded the What Hi-Fi product of the year award, and the Diamond 220 is no exception. Quite simply put, Diamond is one of Wharfedale's most successful speaker series, if not one of the most successful hi-fi speaker series ever. 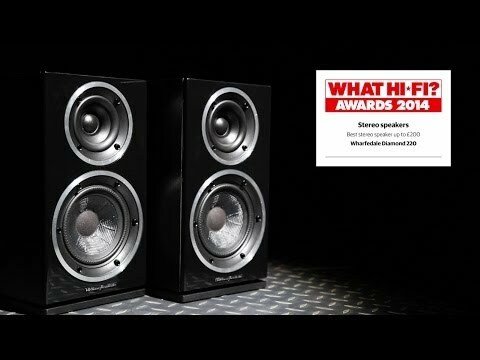 Wharfedale can justify this as year on year, the Diamond Series has broken the mould for combining award winning sound quality unforeseen at the price. From 1982 Wharfedale Diamond 220 Speaker has meant one thing - impeccable performance at an affordable price. Today we are pleased to bring you the latest series of loudspeakers from Wharfedale that aspires to this tradition - Diamond 200 Series. Foremost in the design criteria for Diamond 200 is the ongoing research into loudspeaker driver sound quality. The speaker series uses their famous woven Kevlar cone form, drawing influence from the flagship Jade Series. While honing the internal crossover and using stronger magnets. Aesthetics and construction have been improved too. The Diamond 200 Series benefits from an all new lacquered front baffle and cosmetically enhanced veneers. Only when the acoustic tests are deemed truly satisfying are the loudspeakers designs signed-off for production, ensuring that each speaker model fulfills its eventual owner's dreams of musically enjoyable reproduction from Britain's Most Famous Loudspeakers.